We are engaged in manufacturing and supplying quality Jute Ropes. The variety of Jute Ropes, we offer, These Jute Ropes are noted for their high load bearing capacity and inherent strength, owing to which these are used in several industries. 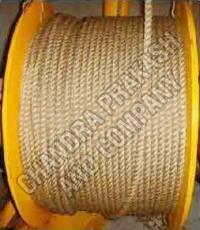 We supply these Jute Ropes in different lengths and other specifications to meet diverse requirements of the clients.